“Charm School” goes platinum in Germany! According to EMI Germany’s “Travelling” press release sent out to various media outlets, Roxette’s comeback album “Charm School” got the platinum certification for more than 200.000 sales in Germany. The album already got the gold award in spring 2011. Hurray! In case you are attending the Roxette concert in Barcelona tomorrow, you should also consider to attend the huge fan party afterwards. The Charm School demos, which will be released on the revisited edition of the album next week, will be played exclusively tomorrow evening. So take your time and join the party! 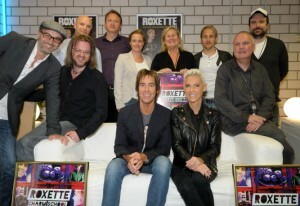 2011 has been a fantastic year for Roxette. A great comeback with a tremendous success both with the album “Charm School” and the ongoing world tour, which has been seen by more than 700 000 people all over the world. 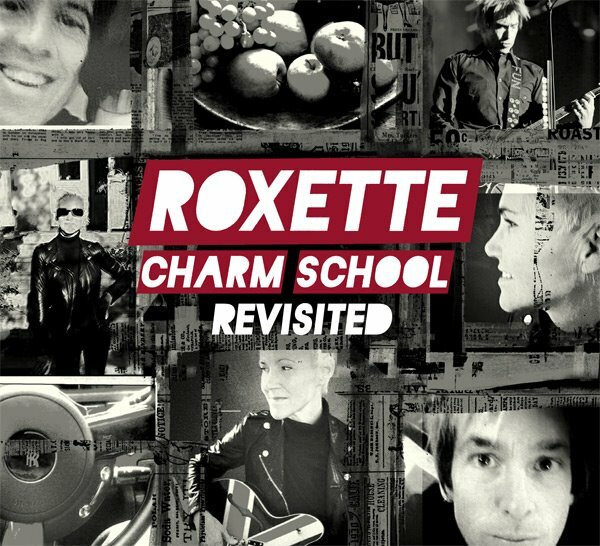 Roxette will now end this year with a special package of the “Charm School” album, a 2-CD 6page digi pack including the original album and a bonus CD. The additional CD includes “The Demos”, which is actually Per Gessles original demos for the songs on “Charm School”, most of them recorded in the T & A studio in his hometown Halmstad. A fascinating and interesting look into Per’s songwriting. The bonus CD ends up with remixes of the singles “She’s Got Nothing On (But The Radio)” and “Speak To Me”. The album will be released on November 28th and will be available both as a digital and a physical product. Caroline Roosmark has done a photo session for Roxette back in January. Up till now 4 promotional pictures were available. 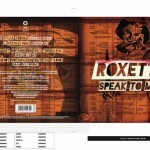 Lately EMI Music Sweden has prepared Roxette “Charm school” postarcds with another, unknown shoot of the duo on the front and with Roxette and Charm school names in the back written with the well-known font from the latest album. Thanks to San Dra for posting this on Per Gessle site. Thanks to Lionel Zaragocin for finding this one. Fabio Deluca from Argentina has just informed us that after a very long delay, the Argentinian charts for February, March and April were finally published by CAPIF. It seems like “Charm school” was not only the number 1 in Germany, Switzerland and Czech Republic, but also in Argentina! As you can see, on week 11 there were 3 Roxette albums in the Top 20! Right before the show at the Tanzbrunnen in Cologne, Roxette and producers Christoffer Lundquist and Clarence Öfwerman received the golden award for 100,000 copies of Charm School in Germany. Congratulations again! Update: A short TV report to be found on YouTube. Update 2: Now the press release is out with the official photos! Update 3: Translation of the press text! 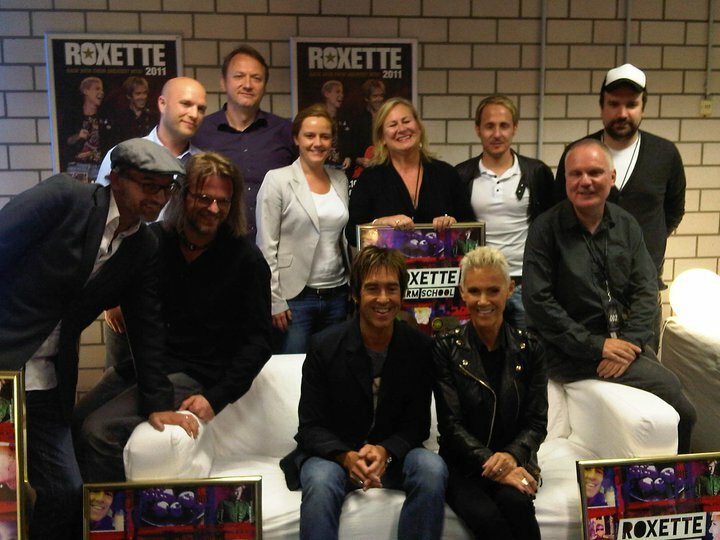 Gold for Roxette in Cologne! The Swedish superstars Roxette now added another trophy to their phenomenal career as part of the successful tour in Germany: The comeback album “Charm School”, released by EMI Music Germany and Starwatch Entertainment that managed to hit directly the first place of the German charts in February, sold over 100,000 copies since then. 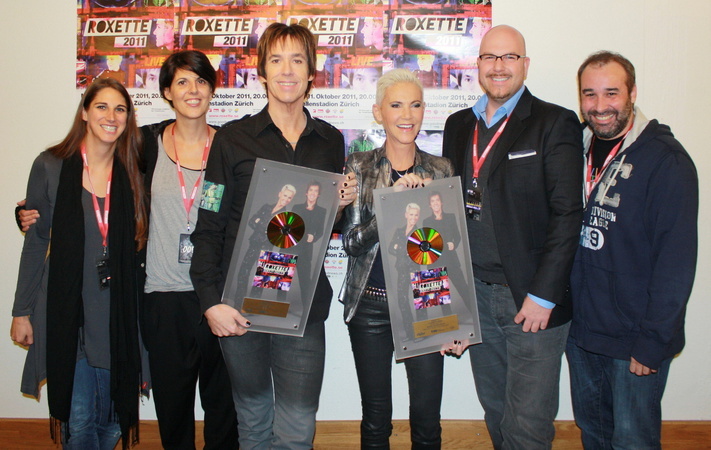 Last Thursday Marie Fredriksson and Per Gessle received the Gold awards in the eve of the Cologne concert. The popularity of the Swedish duo within the German fans is visible in the impressive chart success of the latest album as well as the top ten hit “She’s Got Nothing On (But The Radio)”. Uli Mücke, Vice President New Music of EMI Music Germany, is delighted: “We are very happy about this successful comeback of the sympathetic Swedes, with whom collaboration is simply fun. Moreover the journey of this album is still far from over.” Hans Fink, CEO of Star Watch Entertainment, adds: “I am very pleased for Marie and Per. “Charm School” is a fantastic album. It’s great that the German fans are as excited about it as we are. Congratulations!” After the sold-out Open-air concerts in June Roxette will continue with a large arena tour in October 2011. 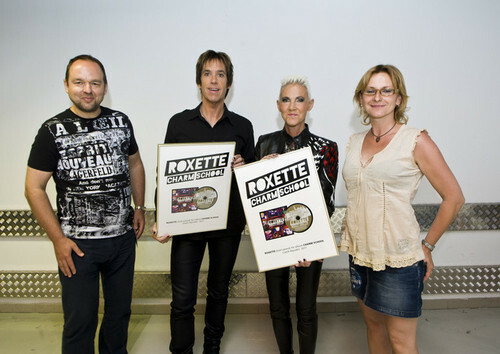 Before the sold-out Prague gig Roxette was awarded with golden record for “Charm school” album in the Czech Republic. Later on the little meet & greet was held. HOLLYWOOD, Calif., May 31, 2011 /PRNewswire/ — After 25 years as a world-famous act with more than 70 million albums sold, one of Sweden’s top pop groups steps back into the spotlight a decade after the release of their last studio album (Room Service). 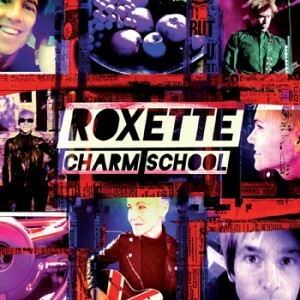 Roxette’s acclaimed new album, Charm School, released internationally in February, will be released digitally in the U.S. on July 26 by Capitol/EMI. 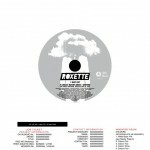 On the same date, Capitol/EMI will release a new collection of Roxette’s Greatest Hits on CD and digitally. Both titles will be available for album and individual song download purchase from all major digital service providers. Charm School is a new album of 12 songs in a style that’s best described as “updated classic Roxette,” from the initial power pop fireworks of “Way Out” to the bittersweet closer, “Sitting On Top Of The World.” Roxette’s new Greatest Hits collection features 12 major chart hits and fan favorites, including “It Must Have Been Love,” “The Look,” “Listen To Your Heart,” “Dangerous,” and “Joyride,” as well as two new songs from Charm School. The chances for a new Roxette album to happen looked slim when vocalist Marie Fredriksson was diagnosed with a brain tumor in the autumn of 2002. But Marie managed to defeat the illness, and starting in 2009, the pieces gradually fell together for Charm School’s creation. First, Marie and her Roxette partner, Per Gessle, were reunited onstage in Amsterdam to perform “It Must Have Been Love” and “The Look” during Per’s “Party Crasher” tour. Before long, Roxette had made a full-scale comeback as headliners for the “Night of the Proms” tour in front of more than 600,000 people in Holland, Belgium and Germany. “By then we started to think ahead and plan for the possibility of making a new album – an album that captured everything that’s good about Roxette while still looking ahead,” said Gessle. 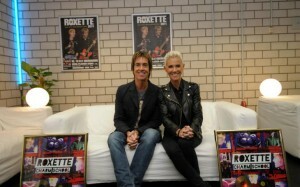 During the tour, the band’s hotel rooms were transformed into recording studios where a string of new Roxette songs took shape. Back home in Sweden, the work continued during the spring and autumn of 2010. Just as when the band recorded in their heyday, Per had written many songs from which to choose. The sensitive ballad “In My Own Way,” for example, is a rediscovered gem from 1984, when Gessle and Fredriksson’s shared dream of international recognition was yet to be realized, while the album’s newest song is the infectious groove-master single “She’s Got Nothing On (But The Radio),” written in the autumn of 2010. 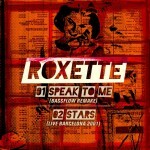 Between those songs is everything that has made Roxette one of the world’s most radio played pop groups; the clinging melodies, the passionate delivery, the humorous pop sense and the unique mix of Marie Fredriksson’s and Per Gessle’s voices. All wrapped up in a musical package that is unmistakably 2011. Roxette is currently on tour internationally, with European dates scheduled through July. In addition, four new dates have been added to the World Tour 2011 schedule. No new countries, though. Updated 10-5-2011: The below has been updated – thanks to Thomas Evensson for clarifying! Basically: “Speak To Me” will only be available on vinyl and “Way Out” only on CD, besides digitally. To be released on May 18, 2011 – countries still unknown. to be released on June 10, 2011 in Germany and Austria. This will also be the 2nd single off “Charm School” in Spain, but release date is still unknown. 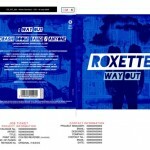 It is still unclear if both singles will be available on CDs as well but my guess is that they will according to the photos posted on Roxette Official Facebook page, since one of them is a “Way Out” CD. As EMI Germany proudly announces, the next single to be released out of “Charm School” will be “Way Out”, available digitally and on CD-single on June 10th in Germany. 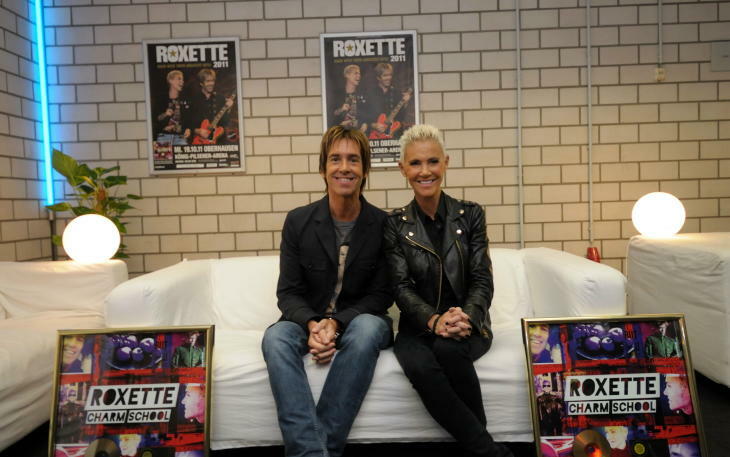 Roxette also have sold 100.000 copies of “Charm School” in Germany, which entitles them to the Gold award. The album already got awarded in Sweden and Switzerland. “Roxette are among the most successful and most likeable artists on the EMI roster. We are very pleased that this phenomenal comeback of the Swedes in cooperation with Star Watch Entertainment and Marek Lieberberg concert promotion and with great support by the radio stations has been successful. As a side note, Roxette will be playing in open airs in Germany this Summer starting on June 11th in Berlin. They will visit Germany again later in Autumn as well. Update a few hours after publishing: Way Out will also be the 2nd single in Austria.